Kevin Rowland and Kevin “Al” Archer were both members of Birmingham punk band the Killjoys before they decided to form Dexys Midnight Runners. Fans of Northern Soul, the duo sought a horn-driven soul sound and stumbled across a very successful formula. Non more so than on the chart-topping ‘Geno’, a tribute to soul singer Geno Washington. I spent the weekend in the sun and it has had its effect. Over to you Stevie. ‘All I Do’ featured on his 1980 album Hotter Than July. Have a great week. Will Change be remembered for their heavily Chic-influenced sound throughout the early 1980s, or perhaps as that disco ensemble that cleverly showcased Luther Vandross on their debut album? The latter I think. ‘Searching’ and the title track off their 1980 long player The Glow of Love were instant classics. Have a great weekend. Good morning! Released in March 1980, ‘Going Underground’ was the first UK chart-topping single by The Jam. Such was the buzz about the band, it went straight to number one as part of a double A-side with ‘Dreams of Children’. Still, it came as a surprise to the band. They were caught on the hop in the US and had to cancel their tour immediately, flying back on concorde to do their promo work in Blighty. The song was released as a single, but not as part of the band’s six studio albums. ‘Intruder’ is the opening song off Peter Gabriel’s third and arguably best solo album. The Melt album saw the reunification of former bandmates Gabriel and Phil Collins. The latter’s instantly recognisable gated snare drums, which became one of the signature sounds of the 1980s. One year on and the loss still flows. David Bowie’s 1980 single ‘Ashes to Ashes’ is undoubtedly one of the strangest songs to top the charts. David Bowie tried to sum up his life’s work with Scary Monsters, an album that touches a number of the styles that he had navigated during the 1970s. However, there was nothing to touch the synthesised nostalgia of ‘Ashes to Ashes’ and its reference to Major Tom. Disconcerting vocals will be a short-lived theme, certainly now that I pull out my ace – David Bowie’s 1980 songbook Scary Monsters (Super Creeps). If you think Billy Corgan and Tom Verlaine can be discordant, check out ‘It’s No Game’ and ‘Kingdom Come’. I discard the latter because it’s actually painful. Whereas ‘It’s No Game’ opens the album, features Robert Fripp on lead guitar and is a damn good song despite Bowie sounding like he is having his intestines pulled out. That last bit came from an NME review. Have a great weekend. Natalie Cole was not the only loss to the industry over the last month or so. First, Phil “Philthy Animal” Taylor, Motörhead’s drummer dies in November. And then, more recently, Lemmy spontaneously combusted. Well if he didn’t, I don’t want to think of him that way. ‘The Ace Of Spades’ is the Motörhead track. One critic once said that it “wouldn’t be out of place ushering in the end of the world”. Sir Lemmy, you are dancing with the devil no doubt. Have a great weekend. According to The Korgi’s front man, James Warren, ‘Everybody’s Got to Learn Sometime’ took just 15 minutes to write. I think the string arrangements may have taken longer. This was 1980. I was knee high, and perhaps for ghat reason, this pop track is indelibly etched into my sound locker. The song featured on the group’s second album, Dumb Waiters. Have a great week, but you may need to indulge me for the next few days. Italo disco can often be an uncomfortable fusion of synthesiser, drum machine and the disco sound of handclaps. In truth, the unorthodox genre does not get much better than the Tantra and Mr Flagio tracks that have already featured on this blog. But if anyone can compete, it’s Kano. The band started out of the blocks with their debut single ‘I’m Ready’. The song is probably better known now for the lead sample it afforded Tag Team’s ‘Whoomp! (There It Is)’ a decade or so later. I spent a conversation in the weekend defending the music of the 1980s. A little l’esprit de l’escalier now follows. Starting in 1980, Orchestral Manoeuvres in the Dark had already gained fame earlier in the year with their synth pop standard ‘Enola Gay’. Then came ‘Messages’ with its killer opening line, “It worries me, this kind of thing\How you hope to live alone and occupy your waking hours.” It featured on their eponymous debut. Have a great week. 1981 tomorrow. Edwin Birdsong was both a creative keyboard player and songwriter. He co-wrote last week’s RAMP post ‘Daylight’ with Roy Ayers. In 1980, on the Salsoul label, Birdsong would create something really leftfield – the dance groove that was ‘Rapper Dapper Snapper’. The beat would would enter into the public consciousness in the decade that followed when De La Soul used it as the rhythm for ‘Me, Myself & I’. Ingrid Mansfield Allman provided the vocals on the UK funk soul track ‘Southern Freeez’. It was 1980 and the band was John Rocca’s Freeez. Have a great weekend. Good morning. I heard the Todd Terje-Bryan Ferry cover of ‘Johnny and Mary’ this weekend. Despite being at the receiving end of one of Rod Stewart’s bouts of peer admiration (‘Young Turks’), Robert Palmer’s song has stood the test of time remarkably well. ‘Johnny and Mary’ featured on Palmer’s 1980 long player Clues. Have a good week. Released on Graduate Records, ‘Food For Thought’ was the first single to reach the UK Top 10 without the backing of a major record company. It helped that it was released as a double A side along with phenomenal ‘King‘. 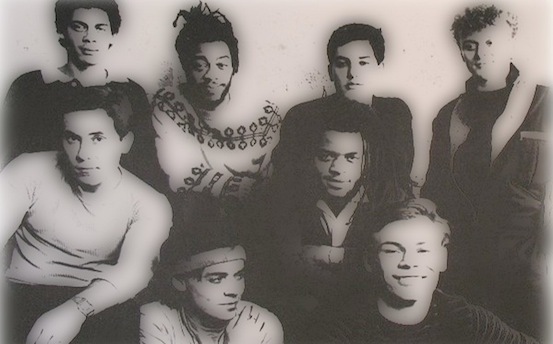 Their recent feature on Later with Jools Holland was a reminder of just how good UB40 were at the outset, before the 1980s got hold of them.